As you probably have figured out, ventilating roof spaces without eaves or gables effectively is a challenge. Replacement air from the inside of the house is quite effective – especially if you are in a two story house – and would like to remove hot air from the upstairs areas. In this case – you can kill two birds with one stone – if you have a high capacity roof ventilator! All you need to do is to put some close-able vents into the ceiling –the roof ventilator will then get the necessary replacement air for the roof ventilation from these vents – and at the same time remove the hot from these rooms! Getting replacement air from the roof – is less effective than eave vents or gable vents – as the air generally will be warmer. There are a number of vents available which can be mounted directly on the roof – unfortunately most of them have very small openings – and therefore require a large number to be installed, which could end up being quite expensive. 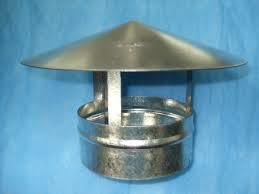 A more cost effective alternative may be to install roof cowls – on the lower part of the roof. 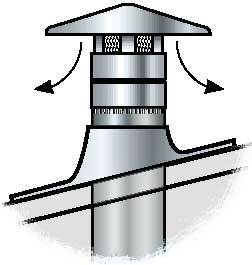 If you have a high capacity roof ventilator near the apex of your roof and a number for roof cowls – e.g. near the four corners of the house if it not too rectangular in shape – this will give you a relatively good supply of replacement air – although warmer than if you took it from under the eaves or from the gables. As always if you have any questions about eaves or gables – or anything regarding your roof ventilation worries, we’re here, ready and happy to help!